When specifications call for both audio performance and installation flexibility, Leviton and JBL have teamed up to create a unique solution: the AEH50 Surround-Sound Home Cinema Speaker System with 100 Watt Powered Subwoofer. 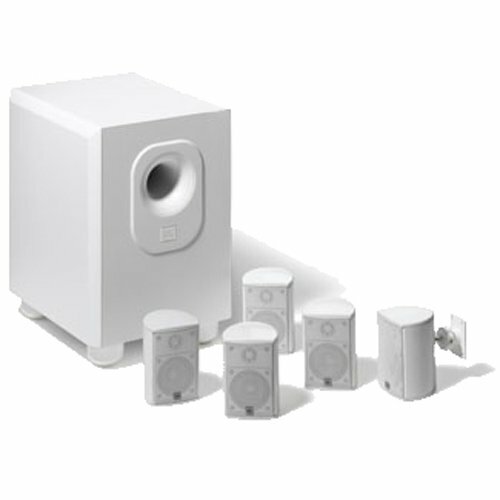 Based on the same technologies and features that made JBL the speaker of choice for film recording professionals and movie theater designers, the AEH50 engineers them into an easy-to-live-with form factor that works in any living and listening environment. The AEH50 Cinema Speaker System’s two-way satellite speakers take their performance cues from JBL’s renowned family of studio monitors, delivering smooth, accurate sound coverage throughout the viewing area. The powered subwoofer is engineered to generate full-frequency realism, providing the powerful bass foundation required to faithfully reproduce today’s special- effects-rich film soundtracks. The System is a 5-channel surround-sound package that can easily be upgraded to 6- and 7-channel operation for 6.1 or 7.1 surround-sound operation with the optional matched AESS5 Expansion Satellite Speaker. The system uses standard audio wiring topology, with satellites connected directly to the AV receiver’s speaker terminals and the subwoofer system connected to the receiver’s SUB OUT or LFE OUT jacks. The AEH50 is compatible with the full range of surround, speaker and EQ modes available in today’s AV receivers.